We have three copies of John Lowe's The Money Doctor 2019 to give away plus the chance for one lucky winner to have a one hour face to face consultation with John himself! At this time of year, the household coffers are at their lowest point. There may be some credit issues, there are children to fund let alone feed, cars to buy, holidays to book, extensions to start and it really is a full-time job just trying to juggle the finances. Who better to help you than our very own LifeStyle columnist, John Lowe the Money Doctor! There are three copies of his book Money Doctor 2019 up for grabs – as RTÉ Liveline’s Joe Duffy states on the front cover "Readable. Reliable. Accessible. This is one doctor that will save you money." For one lucky reader, not only will they receive a copy of the book but a one hour face to face financial consultation with John in his Stillorgan, Co. Dublin office! Simply Follow RTÉ Lifestyle's Facebook and 'like' the competition post. 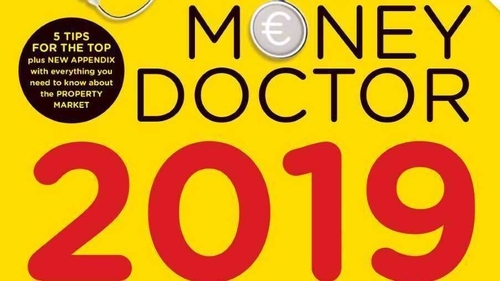 Prize is for one copy of The Money Doctor 2019 for three separate winners, one of whom will also win a one-hour consultation with John Lowe in his Stillorgan Office.